The ERVAMATIN HAIR LOTION provides effective and fast therapy for hair loss, restores lost hair ensuring excellent therapeutic results. Recommended as a treatment for loss and degeneration of hair and other problems like dandruff, alopecia, baldness, fragile and dry hair, the lotion contains 100 per cent natural ingredients found only in the Amazon Rain Forests, 'Nature's Own Laboratory'. It is the only safe, natural hair lotion available today without any synthetic material in its composition, and free from any side effects. First and second month: Restores the degenerated hair follicle rejuvenating the roots of the hair; eliminates dandruff and regulates excessive sebum which makes hair oily and greasy. Second and third month: The hair loss ends. Third, fourth and fifth month: The growth of hair restarts. The product must be applied to the scalp twice daily, gently massaging into the scalp for 30 seconds. You do not need to wash or rinse hair. In the beginning of the treatment it is normal for the weak hair to fall, paving way for the growth of new, strong and beautiful hair with a healthy sheen. BALDNESS: The most common problem affecting hair is alopecia or male baldness. This can be associated with a variety of personal health problems. Hair loss can also affect the sufferer's personality, sometimes leading to social and psychological problems. DANDRUFF: Dandruff is a common scalp disorderleading to the shedding of dead skin cells from the scalp affecting the growth of hair. It is caused by fungus proliferation. HAIR LOSS: Caused by the weakness of the capillary roots (Capillaries are the smallest of a body's blood vessels that make up the microcirculation. GREASY: Hyper secretion by the sebaceous glands causing excess of oily substance too much of which is bad for the hair. DRYNESS AND FRAGILITY: The sun, wind and environmental pollution are all factors that cause this common problem. LACK OF SHEEN, VOLUME, AND SLOW GROWTH: This problem is caused by the need for adequate oxygen supply. it is also the result of the degeneration of hair cells. • Controlling the effects of the fungus that infects the scalp. Ervamatin Power has been tested on hundreds of patients, men and women of all ages, with positive results.This evidence made us to conduct more studies on the plants with pharmacological properties that are able to stimulate the hair growth and delay its falling out as well as to reduce baldness, dandruff, hair loss, excessive sebum in the scalp and greasy, oily hair. The vessel dilatation effect viewed by Ervamatin Scientist's was greater than expected, considering the concentration of naturally occurring chemical compounds found in Ervamatin. This activity proved an increase in nutrients diffusion to the scalp, improving nourishment of the follicle resulting in hair recuperation. 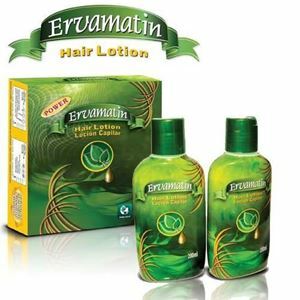 Ervamatin hair lotion, enriched with Amazonic herbs, is the only natural hair care product used by millions of men and women all over the world. It is winning the confidence of the users and dermatologists who have been recommending the revolutionary capillary lotion to their patients. Therefore it is no secret why this product has won many people suffering from hair loss all over America, Europe, Middle East, Africa and Asia. The evolution chart is annexed on the box of Ervamatin kit. All the seven Ervamatin herbs are recognized by The Cosmetic, Toilletry, Fragrance Association (CTFA ) - New York and by the International Ingredient Hand-book Edition. expiry period of the product ( Ervamatin ): 02 years. Provision of nourishment is essential to maintain the beauty of hair. The continuous use of hats and caps and washing hair every day can cause considerable damage to hair roots. Hats, caps and other coverings block the supply of oxygen to hair follicle, weakening hair roots provoking hair loss. Washing hair everyday can make the hair root very weak, resulting in hair loss. (Ans.) On receipt of payment we will dispatch the consignment in two-three business days. Depending on the destination country, clients will receive their order in six to ten business days. Can I use Ervamatin after showering with damp hair and blow-drying it? (Ans.) Ervamatin is a non-greasy hair lotion and it will not change the look or feel of your hair. So please use Ervamatin after you blow-dry your hair. (Ans.) Individuals using Ervamatin hair lotion should wash their hair only twice a week. If you have to wash your hair often due to climatic or any other conditions please ensure that you do not expose the crown of your head directly under the shower. Preferably, take water in mugs and wash your hair slowly using only a natural shampoo. (Ans.) If you use the product as directed i.e. massaging Ervamatin into the Scalp for 30 seconds twice daily, you will see he results in three to four weeks. How long do I have to use Ervamatin hair treatment to see permanent results ? (Ans.) Ervamatin is a tried, tested and proven product for hair-related problems. One packet of Ervamatin hair Lotion contains 200ml of 2 bottles which is enough for nearly one month. You will have to use Ervamatin for at least six months to see permanent results. It is recommended to wash your hair daily if you have oily hair, but you can wash four times if your hair is normal. After washing it, use Ervamatin Lotion and don't rinse. (Ans.) During the initial two weeks of using Ervamatin one may see some excess hair loss which is a result of weak hair falling off. This lost hair will soon be replaced by stronger and healthier hair. Also, is it possible that after starting to use Ervamatin, there is no initial increase in hair fall and after one month or so, the hair thickens and becomes dandruff free and gets better with continual usage? For how long (in terms of months) should I have to use your product? Will my hair start to fall again if I discontinue to use Ervamatin? (Ans.) An individual using Ervamatin will have to undergo the treatment for at least six months to regain at least 75% of their lost hair. After the treatment is complete the patient will have to use Ervamatin sparingly i.e. 3-4 times a week to maintain his/her newly grown hair. (Ans.) Ervamatin was effective in 81% (eighty one percent) of the cases on whom studies have been conducted. The product was found to be effective in cases of dandruff, hair loss, seborrhea and surprising results were obtained for baldness-related problems. Nineteen percent (19%) of the patients that used Ervamatin hair lotion were considered irrecoverable as regards to hair recovery due to mental and emotional problems or even the complete death of the patients hair follicles. I am a student and before ordering the product I want to know the pros and cons and the possible consequences? (Ans.) The pros are you could end up regaining your self esteem by looking and feeling better and the con is you could end up buying the six months' supply to complete your treatment for hair loss/baldness. (Ans.) Please order one month's supply of 2x200ml of Ervamatin Hair Lotion. 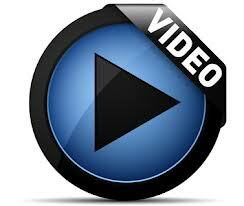 If you are satisfied with the product we will provide you with five months' supply at a specially discounted price. Also as I have read DHT (Dihydrotestosterone) is the main cause of Hair Loss. How does Ervamatin fight DHT?